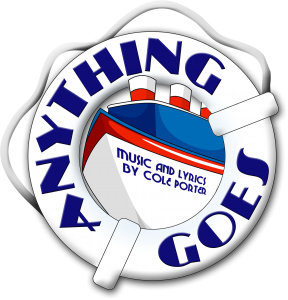 Full casting has been announced for the upcoming revival of Cole Porter's Anything Goes which runs at Upstairs at the Gatehouse pub theatre in north London from 14 December 2016 to 29 January 2017, with an official opening on 16 December 2016. Taryn Erickson will lead the cast in the role of Reno Sweeney, making her UK musical theatre debut. Jack McCannwill play Billy Crocker, opposite Jack Keane and Samantha Dorsey as Sir Evelyn Oakleigh and Hope Harcourt. They are joined by David Pendlebury, Nova Skipp, Timothy Booth, Chloe Adele Edwards, Lucas James, Lewis McBean, Lucie Horsfall and Chloe Porter. Directed by John Plews, it features musical direction by Dan Glover, assistant musical direction by Sarah Burrell, design by Emily Bestow, costumes by Harriet Fowler, sound design by Jon Raper, lighting design by Sam Waddington and choreography by Chris Whittaker. It is produced by Katie Plews for Ovation. Featuring music and lyrics by Cole Porter, book by Guy Bolton, PG Wodehouse, Howard Lindsay & Russel Crouse, this revival will be the 1962 off-Broadway version of the musical that originally opened at the Orpheum Theatre in New York. It follows madcap antics aboard an ocean liner bound from New York to Southampton and was the first version of the musical to incorporate several songs from other Porter shows including "Take Me Back to Manhattan", "It's De-Lovely", "Let's Misbehave" as well as "I Get a Kick out of You", "You’re the Top", "Blow Gabriel Blow" and the title song "Anything Goes".